My Family Fun - Dolls of the World Princess of the Pacific Island Barbie of the Pacific Islands! 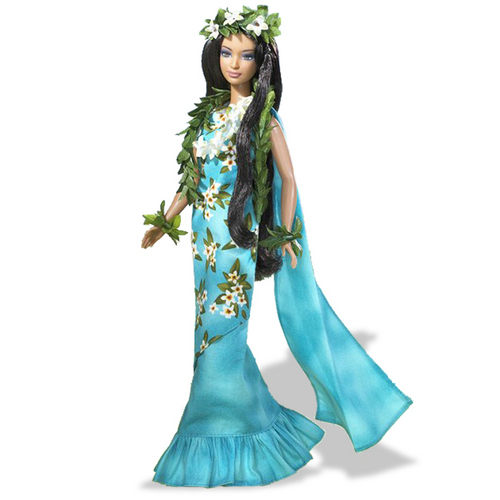 Barbie of the Pacific Islands! In this tropical paradise, a beautiful girl with long black hair walks along the shore saying "Aloha" to everyone she sees. Her father is the chief of the people. The princess loves surfing known as He'e nalu or "wave-sliding" in old Hawaiian. 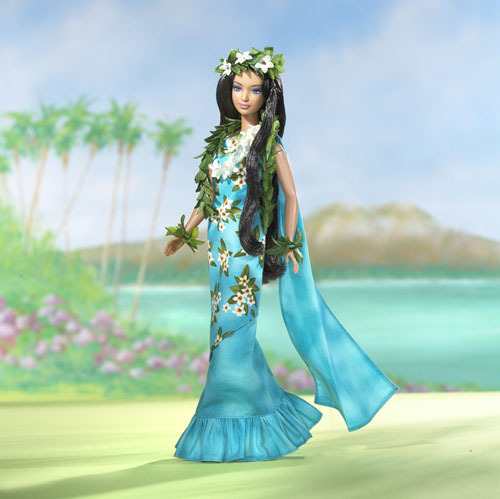 The Princess of the Pacific Islands wears a traditional island dress known as a muu muu and a lei of plumeria, a fragrant blossom native to the islands. Doll measures approximately 12" tall.